Today's polish for you is one that I received from Galactic Lacquer as part of a giveaway prize I had won a couple months back. Lacquer Convention is a Indie brand that is on Etsy. This is my first time trying anything from her and I have to say, I really love this nail polish! 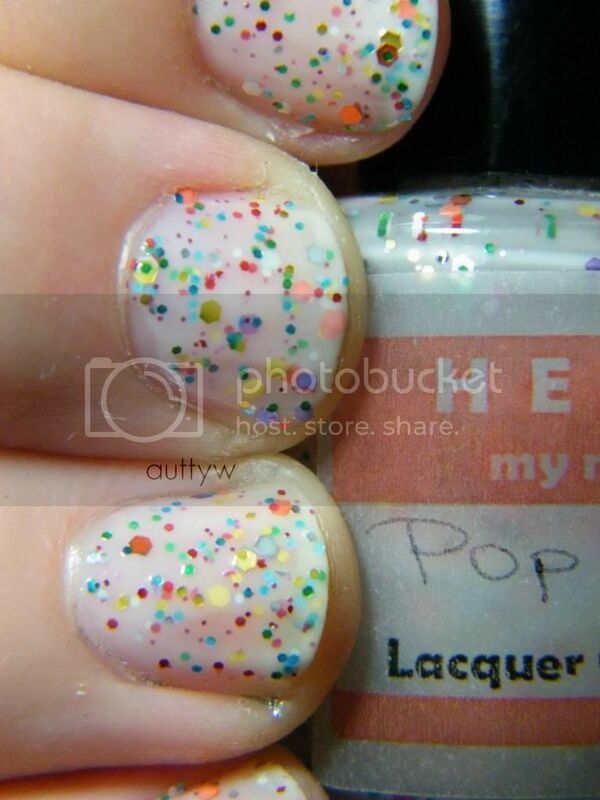 Pop Tart is described as a sheer white jelly based polish that is packed with multi-sized rainbow of hexagon glitter. I definitely wouldn't consider this a "white" polish. In my opinion it's more a creamy kind of color? Yes, it does come out looking white the more you build it up BUT it definitely reminds you of the pastry part of a pop tart. 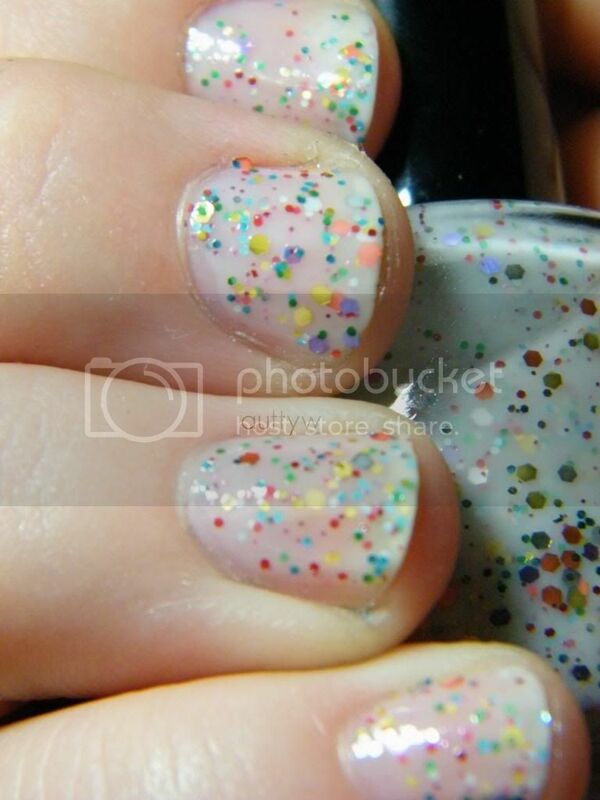 This is one of those polishes, since it's a jelly it can either be built up or worn sheer. This is 3 thin coats. For this, I definitely would suggest an undie. You don't even have to use a white undie. Girl get CREATIVE! I can't wait to play with this more! Unfortunately, I'm not sure how much this nail polish retails for, but definitely check out Lacquer Convention's Etsy page! Disclaimer: I received this polish as part of a giveaway prize. I am not affiliated with Lacquer Convention nor Galactic Lacquer. Well now I'm hungry...:D Looks cute!